For course funding and support, we thank the Mellon Foundation, as well as Occidental College’s Center for Digital Liberal Arts and the college’s Center for Community Based Learning. Dale Stieber in Oxy's archive taught us how to think, and we thank her. We thank the ONE Archive for its access, guided tours, and very existence. We thank REACH LA, and in particular Joseph Stewart, for introducing us to this non-profit’s amazing cache of stuff. The Legendary Sean/Milan™ Garcon and the West Coast House and Ball Scene also deserve our gratitude for providing extra materials after the course. We thank all of our oral history narrators and particularly MW Wilson for access to the Shotgun Club collection. We thank Kelly Besser, archivist/librarian/artist extraordinaire, for the class visit on queer community archiving in LA and the zine workshop. Among students who have worked on Grit and Glamour LA after the semester of CTSJ 337, we thank Promise Li, whose analysis of this project led to a brilliant senior thesis at Oxy and (we would like to think) his acceptance into Princeton’s English PhD program. We especially thank Daniel Cazadillas-Rodriquez and Adrienne Adams. These two truly made Grit and Glamour possible. We solicited Cazadillas-Rodriguez and Adams’ reflection essays in honor of their moving and important work on this project. Adams also deserves thanks for allowing us to feature their short documentary about REACH LA, "Ovahness and Opulence." For copyediting and serving as our test viewer, we thank Molly McGarry. 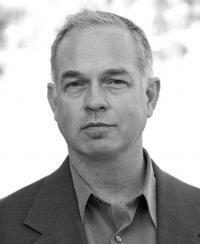 For serving as our fixer, we thank Scalar designer Craig Dietrich. Finally, our project is dedicated to the memory of Stuart Timmons, a shining star in the constellation of early independent scholars who allowed academic LGBT* studies to become a reality. 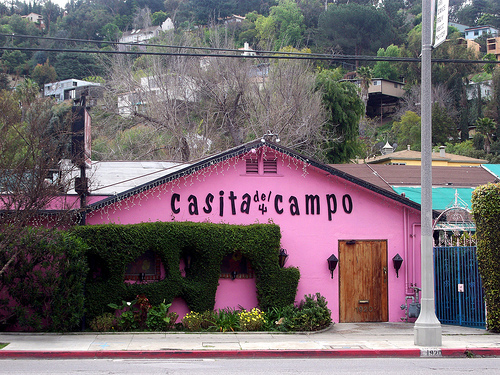 As Cazadillas-Rodriguez discusses in more detail, Timmons led our class on a Silver Lake walking-tour months before he passed. Among all our classes’ readings, workshops, fieldwork, and archival visits, Timmons passion for passing history on to younger generations truly brought home the importance of documenting queer LA.